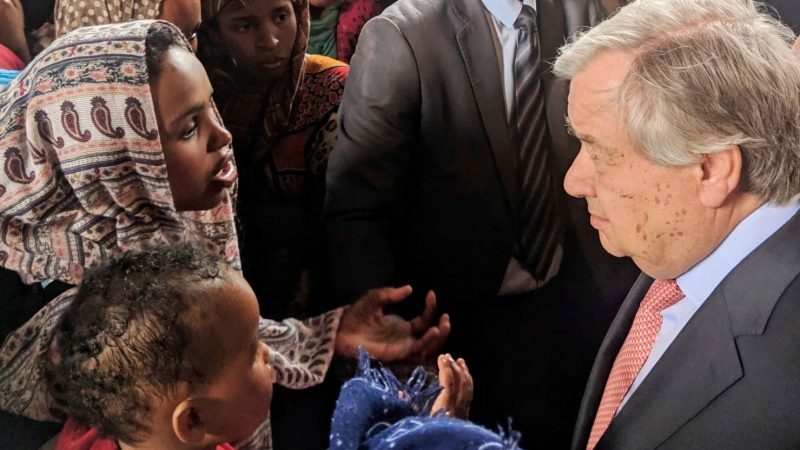 UN Secretary General António Guterres said Thursday (4 April) he was “shocked” by the level of suffering of migrants at a detention centre in Tripoli which he visited during a visit to the Libyan capital. 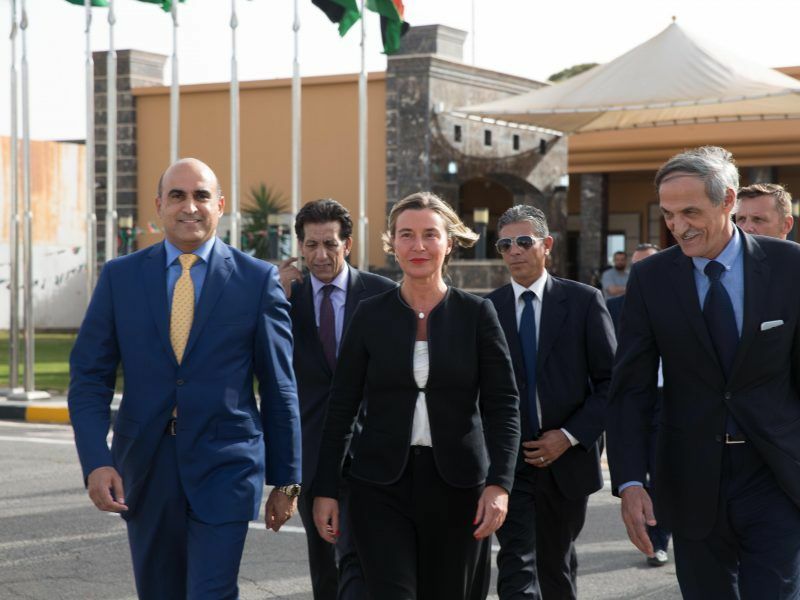 “I was very moved and shocked by the level of suffering and especially by the level of despair that I found,” Guterres told reporters during the second day of trip to Tripoli during which he visited the Zara detention centre. “This is, of course, not only a responsibility for Libya, it’s a responsibility for the whole of the international community,” the UN chief added. European Union cooperation with Libya has been credited with sharply reducing the number of migrants arriving from North Africa and the Middle East from a 2015 peak when Europe faced its worst migration crisis since World War II. Activists also decry rampant human rights abuses against migrants in Libya as they await passage to Europe and urge the EU not to outsource the problem to Tripoli. Guterres said that “in the present circumstances that we are living, it would be very difficult to argue that disembarkation in Libya is disembarkation in a safety situation”. A rescue operation in which an Italian towboat rescued more than 100 migrants and returned them to Libya earlier this week may have been in breach of international law, the United Nations said on Tuesday (31 July). He appealed to the international community “to understand the need for international refugee law to be fully respected, and the need to address the migration problem in a way that is compatible with the defence of the interests of the state but also the human rights of the migrants”. When people like Duterres feel like doing something especially useless they appeal to “the International Community”, as if there even were such a thing and if this ever helped anyone anywhere. Europe should have used some muscle when this started and forced their way to set up an EU-run refugee camp , under UN protection. Now that would have made a difference. They had no problems using muscle to bomb the country to pieces but helping, oh no we can’t do that, it would be like interfering. What they need is a serious change of priorities. At £14.5bn each year, the UK spends as much on foreign aid as it does on financially propping up the EU. How many other countries do anything like as much as Treasure Island?